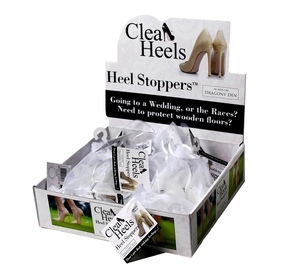 These clear heel stoppers from Clean Heels stop your wedding day heels sinking into grass or decking, protect wooden floors and most importantly, your gorgeous wedding day heels from damage and dirt. If like us, you're a bit wobbly in high heels, they also give you a little bit of extra stability, all whilst being discreet and almost invisible! Featured on Dragons Den, they are the wedding day essential you didn't even know you needed!